Observation - Washed up on beach at Dawlish - UK and Ireland. Description: Found this on Dawlish beach on Saturday afternoon and wondered what it might be. Probably 12 inches in length. 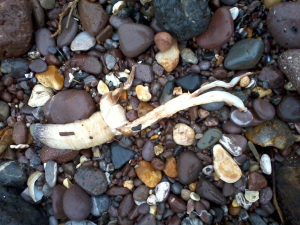 Found this on Dawlish beach on Saturday afternoon and wondered what it might be. Probably 12 inches in length.